Posted January 30, 2019 by Debbie Devore & filed under Debbie's Blogs. Wake up to a brilliant dose of golden light. A breakfast full of warm and comforting spices. Simply add cinnamon, nutmeg, cardamom, ginger and turmeric’s heart of gold to your morning oatmeal. All the Chai Tea Spices we have grown to love. Considering the powerful effects of turmeric, how much should we eat? Traditional Indian diets may include up to 1 teaspoon of turmeric daily. The average intake however, is about a 1/4 teaspoon. 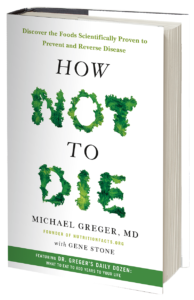 A quarter teaspoon is Dr. Michael Greger’s favorite daily spice recommendation. From “How Not to Die” Dr. Michael Greger, How to Eat Turmeric. Page 352.